He just got the job two weeks ago, so it stands to reason that Tom Telesco, the new General Manager of the San Diego Chargers, would have his hands full at the Senior Bowl. But the Hamburg native had a chance to talk with The John Murphy Show this week in Mobile, Alabama. The 40-year old GM of the Chargers says he’s proud of his Western New York roots, and he’s made a point to mention them ever since he took the new job. Two weeks ago on the radio show, one of those coaches, Jerry Smith of St Francis High School in Athol Springs, was effusive in his praise of Telesco, his former player. And Telesco returned the favor in his Monday interview in Mobile. Telesco hit the ground running, hiring a new Head Coach for the Bolts late last week. He tapped Broncos offensive assistant Mike McCoy for the San Diego Job in what will probably be his biggest decision of his San Diego tenure. 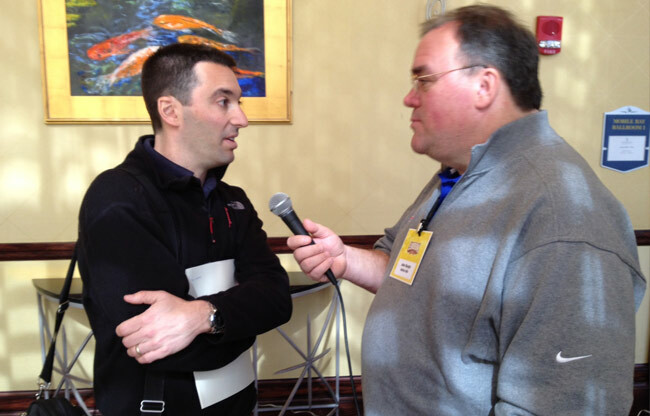 The interview with Tom Telesco is part of the podcast Monday for The John Murphy Show. Tuesday night, the radio show will air live from the Senior Bowl on the flagship station of the Bills, WGR Sports Radio 550.